Today I have a simple card to share using a technique we did at Lisa's Christmas Party Class. The main stamp is Woodware Huge Noel, being a large stamp it makes a perfect card centre piece and not much else is needed. So it can be as plain or fussy as you like. As we are all busy this time of year I kept my design plain and simple. So I stamped the image on to a white die cut piece of card with Onyx Black VersaFine. 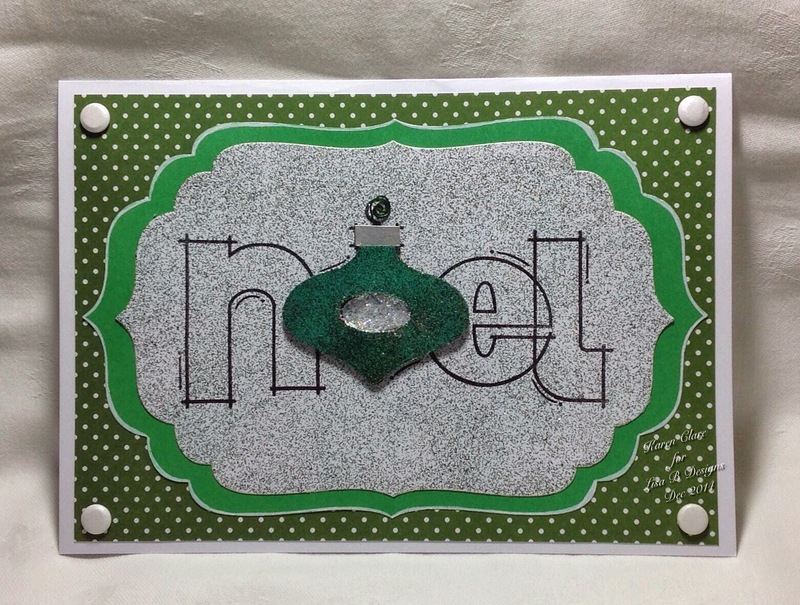 I then stamped the "O" bauble section on to green card and cut it out. The top of the bauble is then coloured silver and twisted wire added for hanging. Masking off the top area I brayed Pastel Green Sparkle Medium over the green section to make it glitter. I used a piece of acetate in the centre of the bauble and dabbed Sparkle Medium on to this with my finger. I had stuck the acetate from behind with double sided tape. I also brayered the Green Sparkle Medium over the stamped white die cut card. This was then layered onto another die cut green piece of card and I outlined the edge with a white liner pen before layering again on to Anna Marie Dottie Olive Green Card. White Craftwork cards Candi finishes off in the corners. It was great to meet so many of you at the Christmas Party Class, I really enjoyed it. Hope your week is going well and I'll be back again next week. I loved using the sparkle medium at the class on Friday. This looks a lovely card to do. It seems a quick card, which is what we need this time of year. 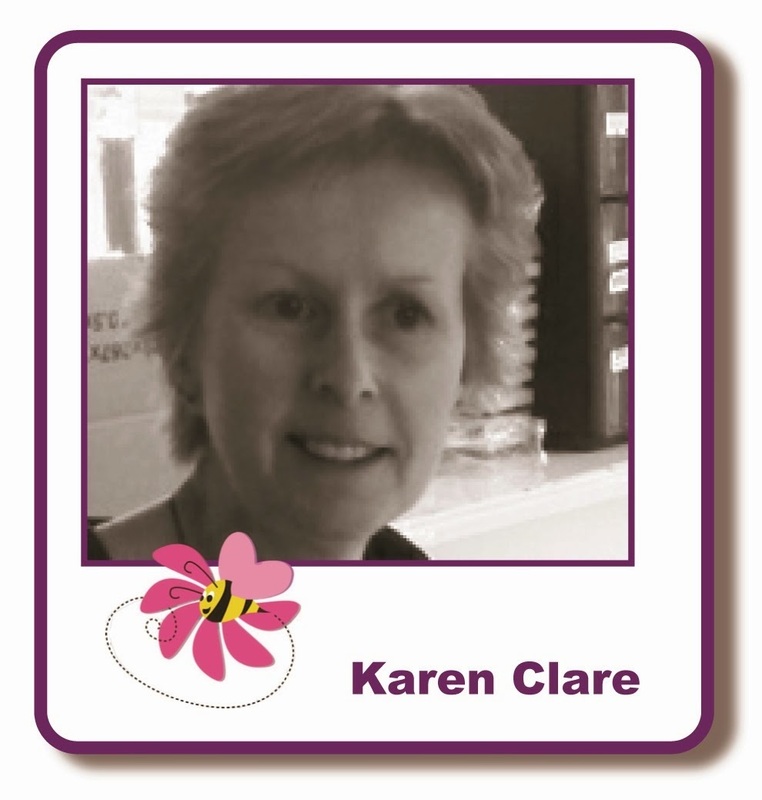 I love the simplicity of your card Karen. 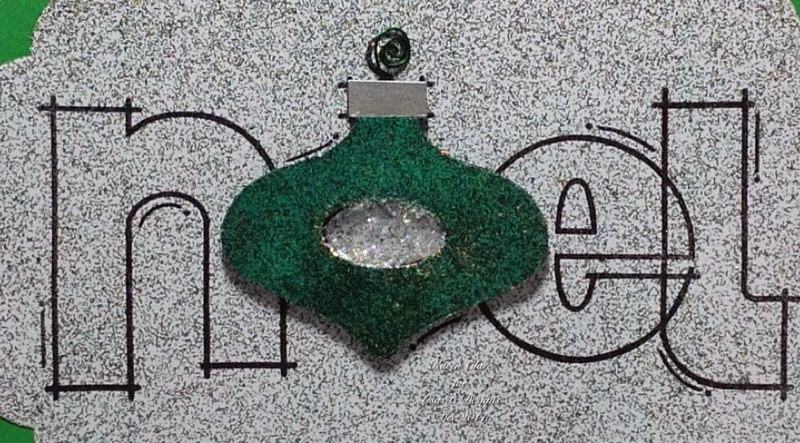 The "bauble " letter really sets the whole design off. This is gorgeous. A simple but very effective card.